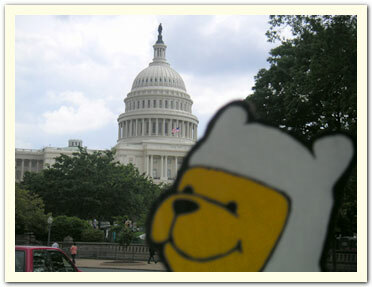 Bumperpup's first stop is the Capitol! May 2006. 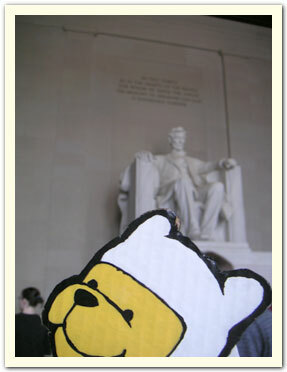 Photo taken by Vicky H.
Bumperpup pays homage to Abraham Lincoln. 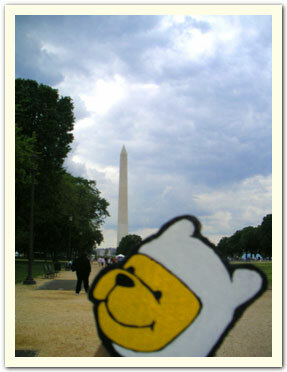 Bumperpup finds the Washington Monument in the distance.